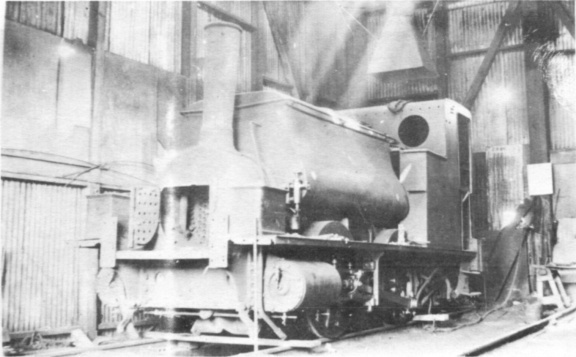 The photo of Peckett 1026 (below - top) was taken at British Aluminium‘s works at Lame in Northern Ireland. When I was there in 1948 the 3 ft gauge system was looking decidedly tired although I do not know when it was finally abandoned. There were two other Pecketts there, similar locos being used on reservoir contracts. (1026, now privately preserved by Mr. W.P. McCormick of 19 Kings Road, Knock, Belfast, is occasionally steamed on some sixty yards of track at the bottom of his garden. – Hon. Ed.) Travellers on the East Coast main line north of Newcastle after the War used to remark on the derelict Manning Wardle DESPATCH that stood at Little Mill. So it was then that in 1949 I set out to see it, after visiting the Northumberland collieries and passing Appleby‘s two Orenstein & Koppels at Embleton en route. After photographing DESPATCH and deciding that the nameplate, which had fallen away, was too heavy to take on the bike, I bumped into a "gaffer" who asked if I had seen the other loco. This turned out to be Hunslet 268 (off the motion) on 2ft 6in gauge. 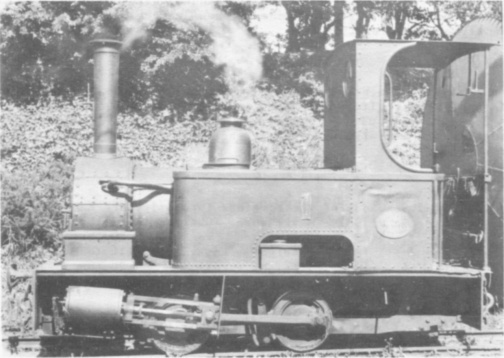 She had seen service in Ireland and is shown opposite (below - middle) [This loco was owned by John Richardson, Little Mill Quarries, near Alnwick]. During 1948 I visited the Fairfield works at Chepstow, originally a 1914-1918 shipbuilding yard but now manufacturing rolling stock, etc. They had a Kerr Stuart well tank and ex−Great Eastern Railway 0229, Neilson 2119 of 1876. 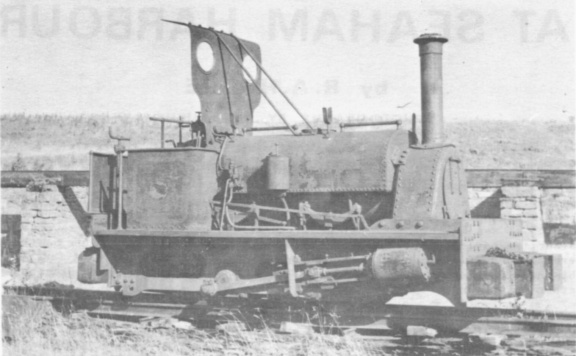 She is shown opposite (below - bottom) with typical Neilson "ogee" saddletank and semicircular smokebox doors. The bufferbeam had been removed to facilitate repairs. The LNER Y5 at Stratford was a much later building at Stratford.